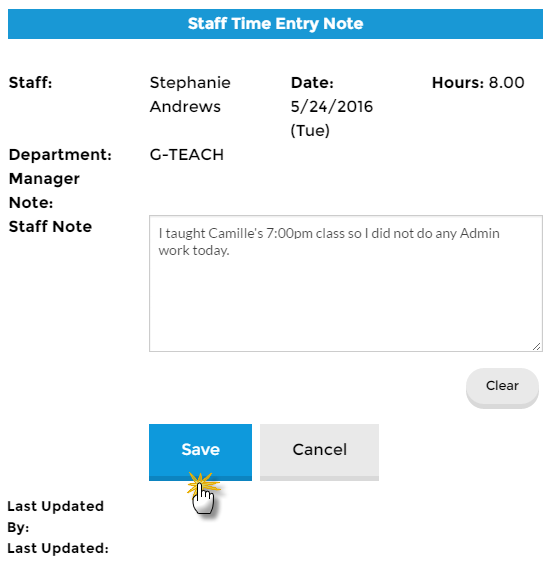 All time entry methods allow a staff member to enter a note for management to review that provides information about a specific time entry. Click the Note icon to open a window where a note can be entered and saved. 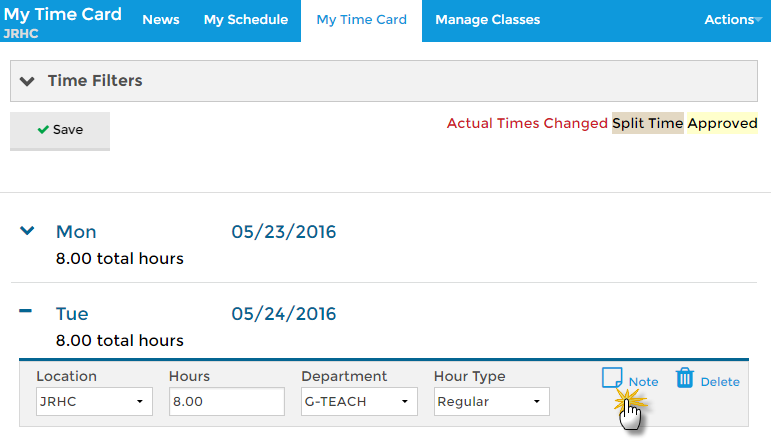 If a note has been saved the icon changes from a blank page icon to a solid page icon in the Staff Portal. In your database the note icon will display the word Note and appear to have text on the page as an indication that a note exists for the time entry. Management can view this note from the Staff record or on the Approve/UnapproveTime page and can add a Management Note which the staff person can view in their portal. Jackrabbit will stamp the Note with the name of the last person to update the note and the date of that update.